About 100 attendants throw petals, flowers and lei into Kaneohe Bay after a memorial honoring six fallen Marines from Marine Heavy Helicopter Squadron 363 held March 30. Remains of one of the fallen, Master Sgt. Travis W. Riddick, 40, of Centerville, Iowa, were scattered into the bay. The Fallen Six, HMH 363 RED LIONS were laid to rest for the final time. Capt. Daniel Bartle, Capt. Nathan McHone, Msgt. Travis Riddick, Cpl. Kevin Reinhard, Cpl. Jesse Stites and Cpl. Joey D. Logan were interned together forever. Died: January 19, 2012 in Operation Enduring Freedom. Unit: Marine Heavy Helicopter Squadron 363, Marine Aircraft Group 24, 1st Marine Aircraft Wing, III Marine Expeditionary Force, Kaneohe Bay, Hawaii. Cpl. Kevin J. Reinhard, 25, of Colonia, N.J., died January 19 while supporting combat operations in Helmand province, Afghanistan. They were assigned toMarine Heavy Helicopter Squadron 363, Marine Aircraft Group 24, 1st Marine Aircraft Wing, III Marine Expeditionary Force, Kaneohe Bay, Hawaii. Reinhard had enlisted in the Marines in the spring of 2008 and was serving his second tour of duty overseas. He was due to return home to New Jersey in a few weeks. 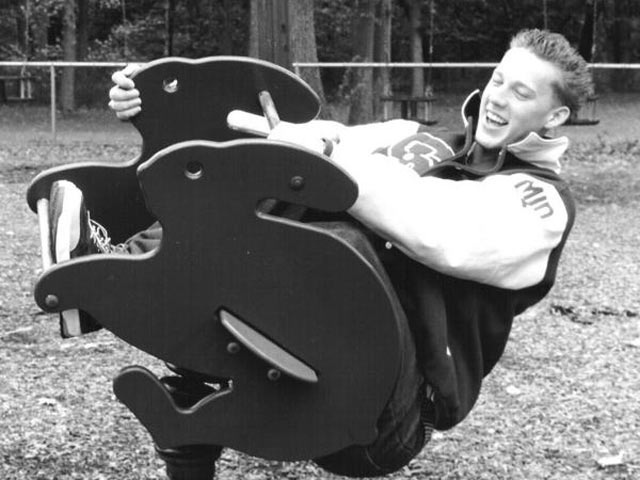 Reinhard was a 2005 graduate of St. Joseph High School in Metuchen, where he played on the volleyball team. 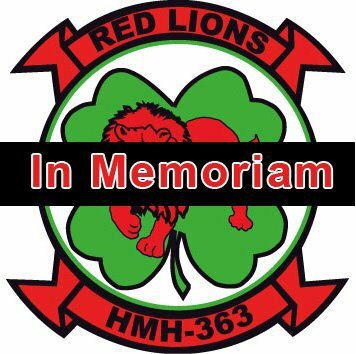 He was part of the Lucky Red Lions helicopter squadron HMH-363. The unit deployed last August to southern Afghanistan in support of Operation Enduring Freedom, and is set to return home in March. The unit's mission is to provide assault support, transport Marines and critical supplies, as well as equipment during expeditionary operations. Kevin only had a few short weeks left to his deployment when his helicopter crashed in Afghanistan, resulting in his death. It was his second deployment. For his family and his friends he was already a hero… before he ever put on a uniform for his country. The uniform only announced to the rest of the world what a wonderful man, what a wonderful soul he was – that he was a hero for all of us. 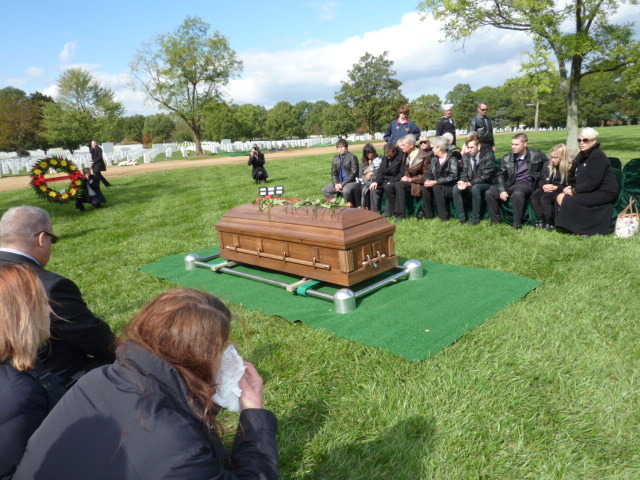 Kevin leaves behind, to forever hold him in their hearts, his mother and father, James B. and Kathleen Rose, as well as his sister Kathleen Marie of Colonia. Extended family includes his grandparents, James R. and Mary Ann Reinhard of South River. Aunts and Uncles include Ann & John Dec of Bayville, Jack Gerrity of Oregon, Michael & Kathleen Gerrity of Brick, Mary Beth Gerrity of Colonia, John & Adrianna Reinhard of Florida, Robert Reinhard of Florida, Jeffrey Reinhard of Spotswood, Mary Ann & Andrew Rothman of Coltsneck, Lisa & Dan Kennedy of Milltown, Kurt & Kelly Reinhard of South River, Bill & Priscilla Reinhard of South River. There are also numerous cousins. He is pre-deceased by his maternal grandparents John A. & Veronica J. Gerrity of Colonia. Marines, sailors, family members and friends pay their respects on the flightline here today to six fallen Marines of Marine Heavy Helicopter Squadron 363 who were killed, Jan. 19, when their CH-53D Sea Stallion helicopter went down in Afghanistan. A traditional "battlefield cross" represented each Marine, including a military aviator helmet in place of the traditional infantry helmet, a service rifle, boots and identification tags. MARINE CORP BASE, Hawaii - Nearly 100 Marines, sailors, family members and friends gathered today to honor six Marines of Marine Heavy Helicopter Squadron 363 who were killed Jan. 19 when their CH-53D Sea Stallion helicopter went down in Afghanistan. Honored were Capt. Nathan R. McHone, pilot; Capt. Daniel B. Bartle, pilot; Master Sgt. 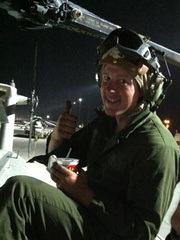 Travis W. Riddick, crew chief; Cpl. Joseph D. Logan, aerial observer; Cpl. Kevin J. Reinhard, crew chief; and Cpl. Jesse W. Stites, crew chief. 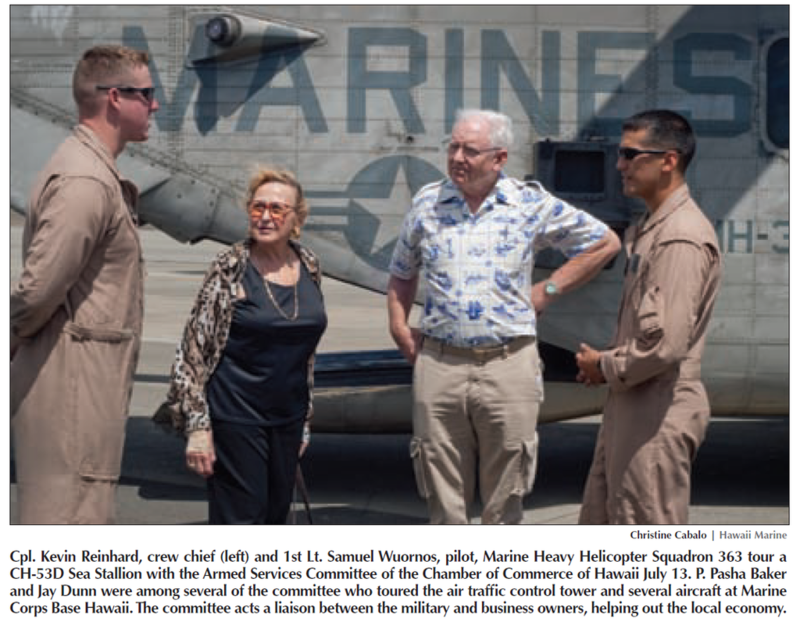 The HMH-363 “Red Lions” were deployed to Afghanistan’s southern Helmand province in August 2011 and returned to Marine Corps Base Hawaii earlier this month. During the service, the unit chaplain, squadron mates, and the squadron commanding officer, Lt. Col. Mark Revor, spoke about the fallen Marines. A photo and traditional “battlefield cross” represented each Marine, including a military aviator helmet, replacing the traditional infantry helmet atop a service rifle, with boots in front and identification tags which hung from the rifle and swung in the breeze. 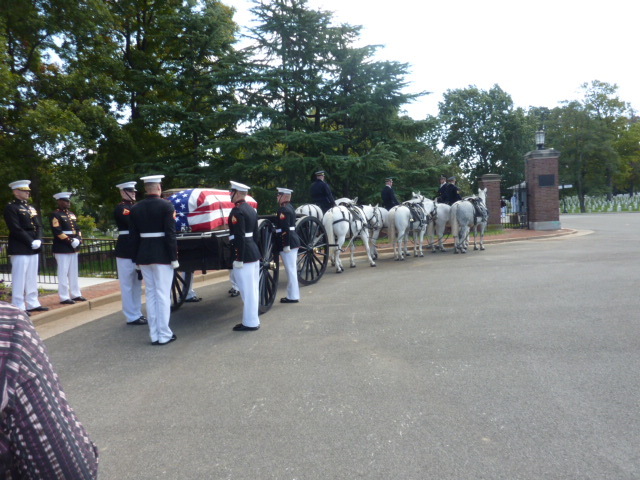 The service included a roll call, where the missing Marines’ names were called out to the squadron in formation, the playing of “Taps,” a 21-gun salute, and the “Marines’ Hymn” played slowly and reverently by the band. “Just as these six supported their unit and commander in life, their spirits, their high standards, their excellence, they raised us all up to not just finish the deployment, but to make it matter,” said Revor. After the service, families and guests were welcomed forward to the battlefield crosses to pay respects. 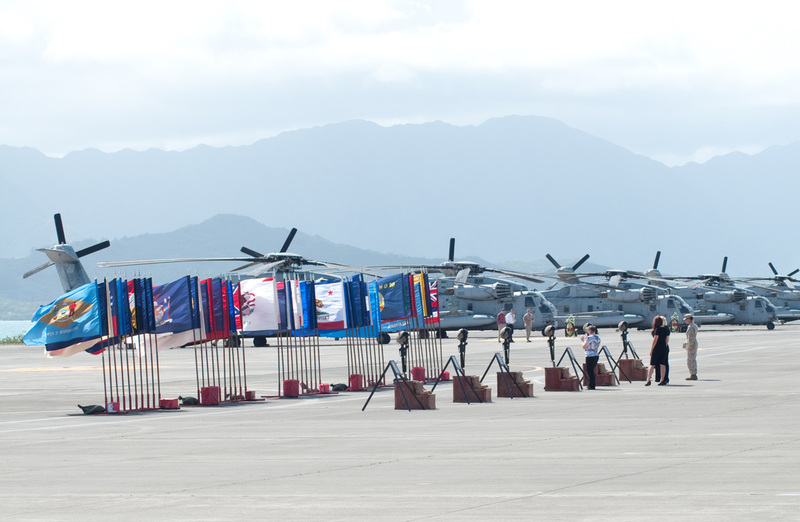 Many made their way across the flight line to the water as Riddick’s family spread his ashes, leis and flower petals into the waters of Kaneohe Bay. 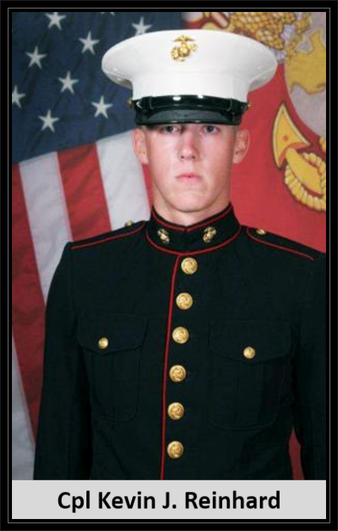 Marine Corporal Kevin J. Reinhard. 26th day of January, Two Thousand and Twelve, and of the Independence of the United States, the Two Hundred and Thirty-Sixth. My name is Kevin J. Reinhard, I am a Corporal in the United States Marine Corps. I am currently attached to HMH-363, the Lucky Red Lions, a Marine Heavy lift helicopter squadron currently forwardly deployed to the Helmand river valley in southern Afghanistan. I just want to write you this letter to show some appreciation for all of the packages you are sending. It brings me and my fellow Marines some motivation when we receive packages. It reinforces the fact that while this war may be controversial, the American people still support their sons and daughters who are out here fighting. While I’m here I will fly a flag for you, the flag will come with a picture of the crew members of the aircraft with the flag and CH-53D Sea Stallion helicopter as a background. The Flag will also be signed by the crew members. It is the least I can do for you for all you have done for my Marines and myself. A young man taken too soon from this earth; while defending his country. Kevin had a zeal for life that many people could only aspire to. Always athletic, from little league, to soccer, to playing JV and varsity volleyball at Saint Joseph’s High School, and playing volleyball at the college level for Ramapo his freshman year of college. Kevin was passionate about his commitment to family and friends. He was easy to love and get along with. He was quick to make friends, and dedicated to each and every one of them. Kevin loved the little things in life, a good slice of pizza from Joey D’s, a grease trucks fat sandwich, fixing up his car… and sometimes destroying it in the process. The beach, no matter what time of year, was always a favorite place to visit for Kevin. Be it a sunny day or the bitter cold wind of January, Kevin loved to walk the boardwalk with his family and friends. If it wasn’t the beach it was a long drive to nowhere, just so he could hear his car’s engine purr down the parkway. Kevin reveled in feeling the wind blow past his face while driving any vehicle. A loving son who would do anything and everything for his family, a young man who would put his friends and loved ones before himself on any day, and best friend and confidant to his older sister and only sibling. Kevin was the sort of man who held open doors for anyone, who would give you the shirt off his back if he saw you needed one, always considerate, always a joker. If you knew Kevin, you knew he had a great sense of humor. From being an all around goof-ball, to the particular way he would read his birthday cards with the family, dying his hair purple, and planning on wearing a kilt when and if his sister got married in the future. If you were down, he knew how to pick you up. When he was down he surrounded himself with love and use humor to pick himself right back up again. Kevin attended Saint John Vianney for grade school, followed by Colonia Middle. After attending Ramapo College he transferred to Middlesex County College. However, before graduating Kevin felt he needed to answer a call to serve his country. In the spring of 2008 he enlisted in the United States Marine Corps and attained the rank of Corporal. He was a crew chief, flying on a Sikorsky Sea Stallion with HMH 363 – the Lucky Red Lions. Kevin loved flying, he had dreamt of being a jet pilot as a boy, but once 8th grade came around he soon realized he would be too tall at over 6’ for that dream. Descriptions of flying around base in Hawaii, observing the tropical scenery, and whale watching out of the side of his helicopter were all frequent talking points in phone calls home. Kevin only had a few short weeks left to his deployment when his helicopter crashed, resulting in his death. It was his second deployment, and supposed to be his last as he only had one more year left to his enlistment. For his family and his friends he was already a hero… before he ever put on a uniform for his country. The uniform only announced to the rest of the world what a wonderful man, what a wonderful soul he was – that he was a hero for all of us. 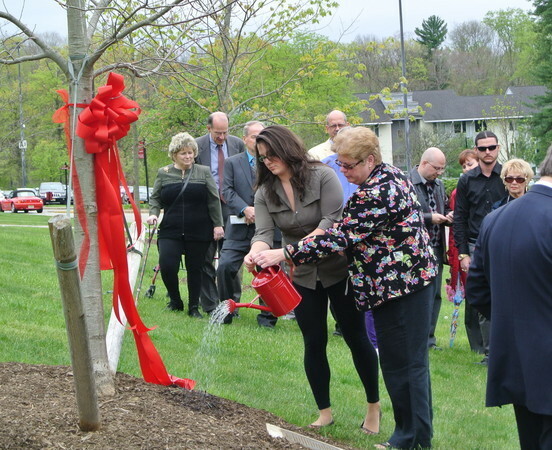 Kevin leaves behind his mother and father, James B. and Kathleen Rose, as well as his sister Kathleen Marie of Clolonia. Extended family includes his grandparents, James R. and Mary Ann Reinhard of South River. Aunts and Uncles include Jack Gerrity of Oregon, Ann & John Dec of Bayville, Michael & Kathleen Gerrity of Brick, Mary Beth Gerrity of Colonia, John & Adrianna Reinhard of Florida, Robert Reinhard of Florida, Jeffrey Reinhard of Spotswood, Mary Ann & Andrew Rothman of Coltsneck, Lisa & Dan Kennedy of Milltown, Kurt & Kelly Reinhard of South River, Bill & Priscilla Reinhard of South River. There are also numerous cousins. He is pre-deceased by his maternal grandparents John A. & Veronica J. Gerrity of Colonia. In lieu of flowers, please make a charitable contribution to the Kevin J. Reinhard Scholarship Fund c/o Saint Joseph’s High School 145 Plainfield Ave, Metuchen, NJ; or to the American Legion T. Nulty Post 471 Blue Star Family Support Group 25 Brown Ave, Iselin, NJ. Visitation will be held on Saturday & Sunday 2-4 & 7-9 at Gosselin Funeral Home, 660 New Dover Road, Edison, NJ. Kevin’s funeral will be held on Monday, 9:45am, at Saint Agnes Roman Catholic Church in Clark. Burial to follow at Saint Gertrude’s Cemetery, Colonia.